Clara Arnold is part of Canada’s National Glee championship team, placing first in the National championships in 2017. 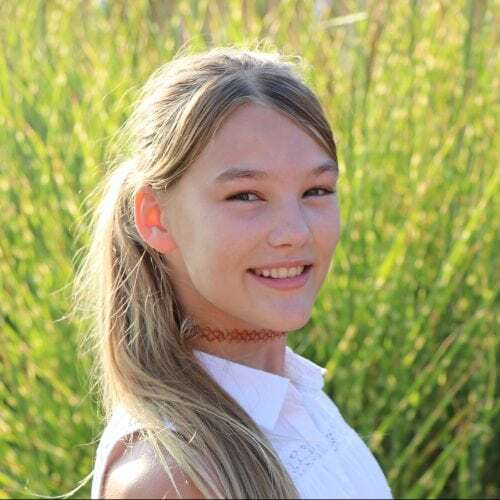 She is an aspiring actor and movie producer; at eleven years old writing, filming and editing her first mini-movie, “The Amazing Race Mini-Games.” She has performed as Simba in The Lion King and regularly sings in Glee productions at the Meaford Hall. She was awarded 2nd place at the Regional Speech competition for Simcoe County, and placed fourth in the Regional Slam Poetry contest. Clara has balanced her singing and acting with her exceptional track and field abilities as well as her performances in Silks. She runs her own business called Clara’s Dog Walking and her greatest hope is that one day, schools will change the way they go about the business of schooling.